Ambulatory Alliances, LLC is a full service healthcare investment banking and M&A brokerage firm that has significant experience in advising physicians and ambulatory centers. We have advised on numerous transactions and have had various financial and strategic planning engagements. When Ambulatory Alliances, LLC is part of your team, you significantly increase the odds of attaining the results you seek. We are known for our complete understanding of the entire transaction, including the legal framework, various models and valuation methodologies. The authenticity of our negotiation experts means that we are able to get complex deals across the finish line while maximizing both the short term and long term value for our clients. Our reputation, experience and knowledge allows us to garner respect from the buyer, investor and their lawyers, accountants and financial advisers, thus we have more influence over the transaction structure, price and terms. We help physician owners who have an interest in selling part of or all of their outpatient surgery, endoscopy, radiation oncology, or urgent care center understand the value drivers from the eyes of the potential buyers. We work with you to maximize the value, prepare to sell your ambulatory center and then we go into the market place representing you soliciting bid proposals from multiple buyers and multiple buyer types and the negotiate on your behalf. Simply put, we bid up the price and negotiate the structure and terms. Physician recruitment is the process by which we recruit physicians that will do procedures in your ambulatory surgery center. When we refer to physician recruitment we are not recruiting that physician to invest in the surgery center -at least not until we have established a substantial relationship with them – we want them to use the surgery center for their cases. We are headhunters in the purest sense. We actually got our start recruiting in our niche markets. Syndication is the process of organizing into or administering as a syndicate. A Syndicate is an association of people or firms formed to engage in an enterprise or promote a common interest. It simply refers to a private placement securities offering of ownership interest (where state and sometimes federal securities laws are implicated) in a healthcare company. You run across this term most often in the selling ownership interest in the surgery center business, but you can syndicate just about any kind of healthcare company – surgery centers, medical office building, medical equipment company, etc. Syndication typically takes the form of a sale of limited liability company units or limited partnership interest although they can also involve the sale of shares in a corporation. Third party intermediaries involved in advising on or otherwise facilitating securities offerings – whether through a public offering or private placement are required to be registered with the Securities and Exchange Commission and Licensed through FINRA. Blayne Rush was the first SEC registered Investment Banker with a specialization in ambulatory surgery centers; the others followed his lead. Capital structure refers to the mix of debt and equity financing in an outpatient surgical center or other ambulatory center. Private debt and equity are raised in the private capital markets such as bank lending, equipment leasing, asset-based lending, factoring, mezzanine and private equity. As registered and licensed investment bankers, we help ASC owners understand how to best utilize debt and equity to increase their growth rate and maximize earnings, as well as act as their intermediary in accessing and negotiating with the capital markets (providers of equity and debt) in order to obtain the best deal for our clients. Other brokers may offer services similar to ours, but the truth is that most of them do not understand your industry. Almost all of the ambulatory surgery center brokers in an ASC brokerage are not properly registered with the SEC and licensed by FINRA as required by Section 15(a) of the Securities Exchange Act of 1934 (For more information read: The Truth About Selling Your Ambulatory Surgery Center). At Ambulatory Alliances, we work exclusively in our niche markets. Our team has extensive experience and a thorough understanding of the healthcare markets that we work in and are properly registered and licensed. 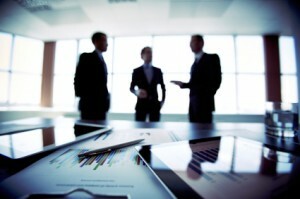 Ambulatory Alliances works with buyers and sellers and their consultants (lawyers, accountants, financial advisers, etc.) on a daily basis, develops in-depth relationships with all of them, and maintains detailed information on the capabilities and interests of each. In addition to the direct value of its services, Ambulatory Alliances provides an inherent strategic advantage for its clients by acting as an intermediary. Utilizing Ambulatory Alliances throughout the negotiating process preserves the future relationships between the companies involved, ensures you leave no blind spots during the transaction process and allows the parties to focus on running their businesses with minimal interruption.